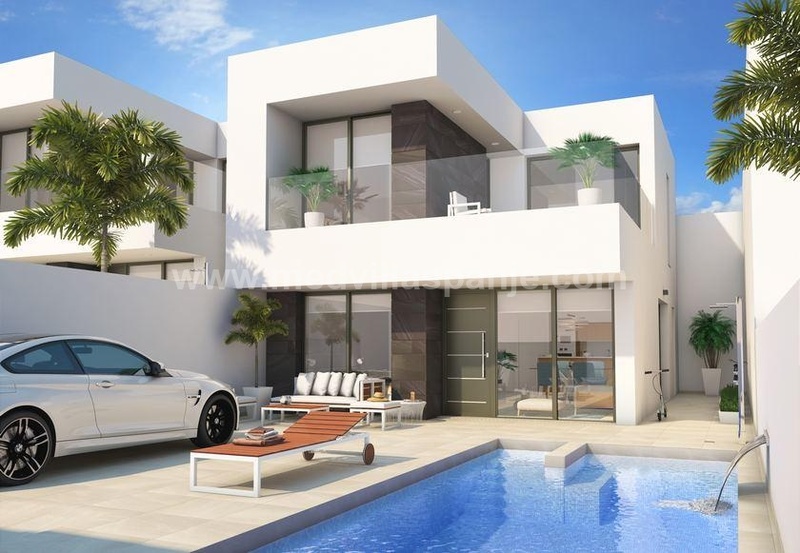 These detached villas are built at 7 kilometers from the beautiful sandy beaches of Guardamar del Segura, Alicante, Costa Blanca South, Spain. With a convenient location, in one of the highest areas of Ciudad Quesada, Golf Breeze you can enjoy fantastic views from one of the detached villas. You can choose between two models: one with 3 bedrooms or the other with 2 bedrooms but thanks to its basement you can extend up to 4 bedrooms. Both models have large terraces and garden with the possibility of a private swimming pool. Ciudad Quesada was created in the 70s as a subdivision, but today there are more than 100 shops, cafes, restaurants, supermarkets and of course the prestigious golf course. The proximity of the AP-7 ensures excellent connections with Alicante, Murcia and Elche. Moreover, the towns of Torrevieja and Guardamar with their beaches are just 15 minutes away.